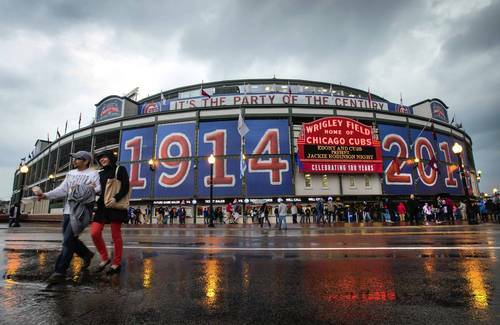 @sullybaseball Sunday podcast question: Thinking about 100 yrs of Wrigley, which of the new ballparks will still be around to celebrate 100? I bet in 100 years a lot of the stadiums we are going to now will be long gone. It is the Mother’s Day issue of The Sully Baseball Daily Podcast. John Jaso, Tyler Skaggs, Corey Dickerson, Zack Greinke, Jeff Samardzija, David Wright and Jose Altuve all added to their totals for Who Owns Baseball. This entry was posted in Sully Baseball Daily Podcast, Sunday Request and tagged podcast, Sully Baseball Podcast, Wrigley Field. Bookmark the permalink.